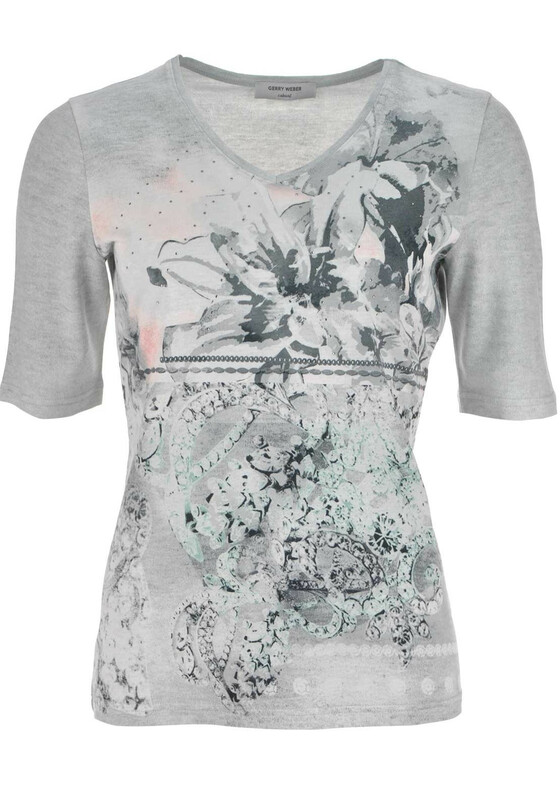 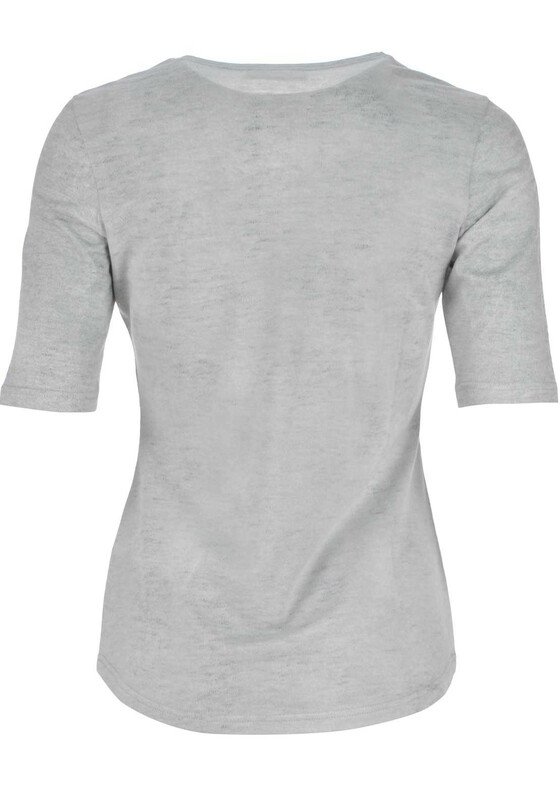 This charming short sleeve top from Gerry Weber would be a lovely choice to wear with jeans or chino trousers to create a casual outfit. 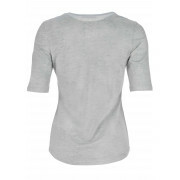 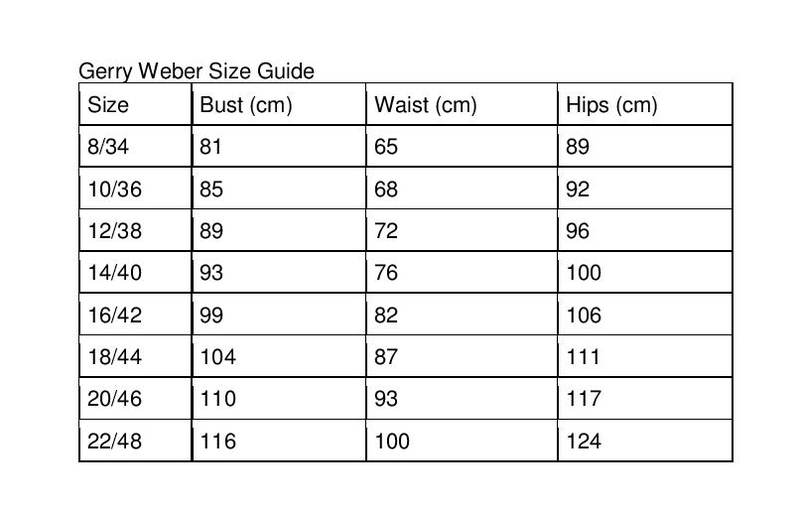 Designed with a figure skimming shape and crafted from soft and comfortable cotton jersey fabric. 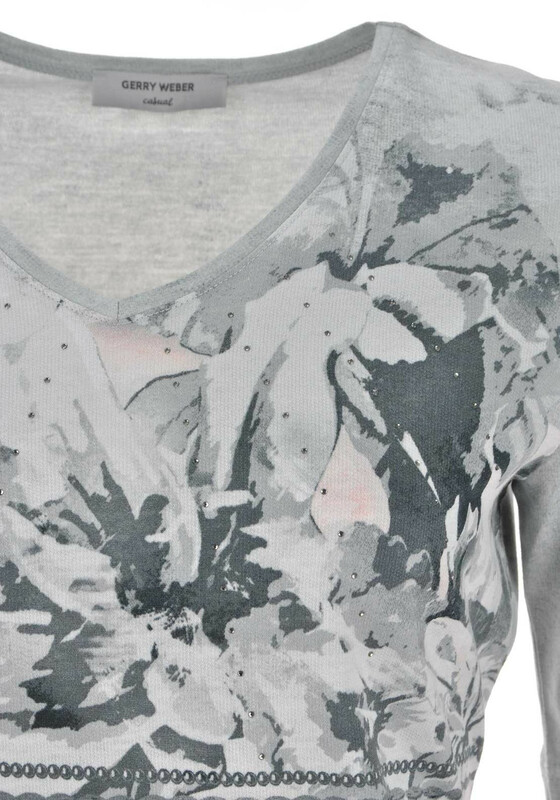 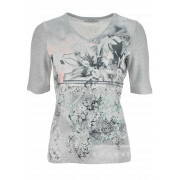 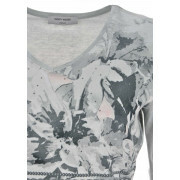 Featuring a pretty graphic print on the front with diamante embellishment.